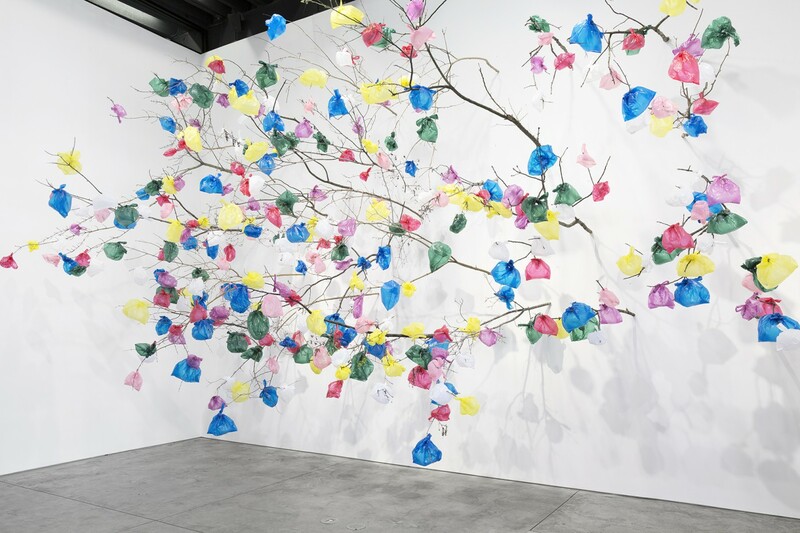 On view this summer at Richard Taittinger Gallery in New York is a large survey of Pascale Marthine Tayou, entitled “Colorful Line.” Curated by Jérôme Sans, it is the most comprehensive exhibition of the artist’s work in the U.S. to date. Sans, in collaboration with Galleria Continua, has put together work from 2006 to 2018, taking viewers on a journey through Tayou’s color-filled universe, presenting a transcultural vision that explores the role of the artist in the global village of today. Whitewall spoke with Sans about “Colorful Line,” open through August 22. WHITEWALL: What was the starting point for “Colorful Line”? JÉRÔME SANS: Since we met at the Sydney Biennale in 1998, Pascale Marthine Tayou and I have nurtured a relationship that has led to numerous collaborations in projects around the world, including two in France last year in Les Moulins for Galleria Continua. “Colorful Lines” exhibition was born from a desire to confront Tayou’s works to the current New York art scene. It has been more than 15 years since he was exhibited in New York at Lombard Fried Gallery. This show is a new chapter, beginning here at Richard Taittinger.